Delivers all-day comfort, stability and consistently clear vision. 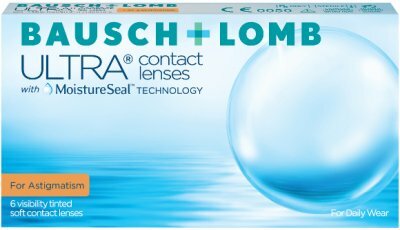 These contact lenses maintain 95% of lens moisture for a full 16 hours. Ultra for Asitgmatism contact lenses feature a unique two-phase polymerisation process which results in a lens with exceptionally high oxygen transmissibility, low modulus and high water content.